My golly. So I started the Diploma program for the Wines and Spirits Educational Trust (WSETs) and the first (of six over two years) segments is…Viticulture and Vinification. And our class on vinification was guest-talk by…Brandon Sparks-Gilles of Dragonette! And I LOVE Dragonette. So life is mighty cool when you suddenly start being taught by the people you look up to. Sorry I’m probably so not funny right now. I’m just reeling from “what is this wicked awesome wine life I’m living” joy. Oh and I’ve been acting a bunch more so my brain is addled. So! Today’s wine. From my fave winery aka the winery owned by my home slice Brandon. The 2015 Dragonette John Sebastiano Vineyard Grenache. I promise to never say home slice again unless it’s my own recipe in house made pizza. Such a sophisticated Grenache. For those needing review Grenache is a big ol’ player in the southern Rhône and it’s the G in GSM (Syrah and Mourvèdre are the other two letters). Even though I know Dragonette wines have oh so much finesse, for a Grenache from California I sorta was expecting a BIG wine. It’s so much better. Grenache is known for being ridiculously high alcohol but this one’s vineyard is one of the coolest Rhône-varietal sites in this state. And seeing as such this wine (no surprise like its totes Dragonette duh) has oh so much elegance. And a “mere” 13.5% abv. Smells like a Cali Pinot. Looks a tad ruddy. Light tannins. Tastes of underripe cherries black grapes and maybe…arugula? Something totally refreshing. I love a chilled red and oddly I think this does well as one. Dragonette you are my darling. Cheers to you being in my life be it in my glass or teaching me. Wine love. So good. I promise to be funny again someday but for now gonna finish this elegant glassful of fun. 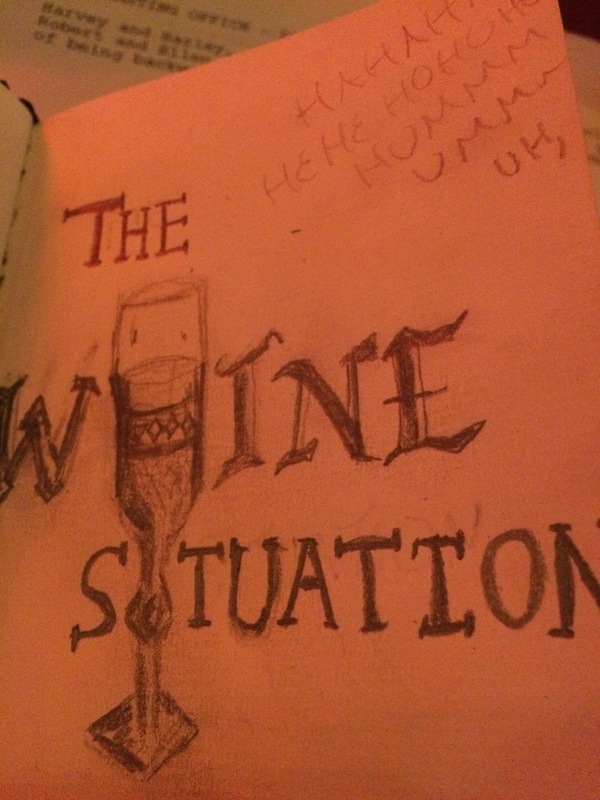 From an idea in my head to doodlings in my sketchbook at my neighborhood bar to—WE ARE ON EPISODE 4! This one is pretty special. 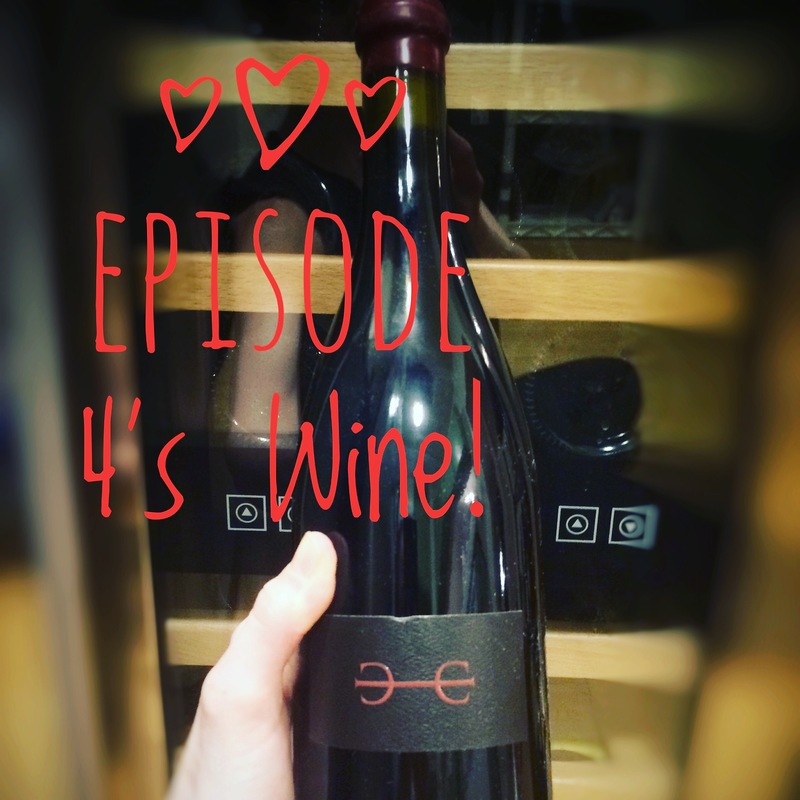 Our guest is Drew Droege who is a stellar human being, and amazing actor, and hilarious improviser and a very good person to this tasty Dragonette pinot noir with.